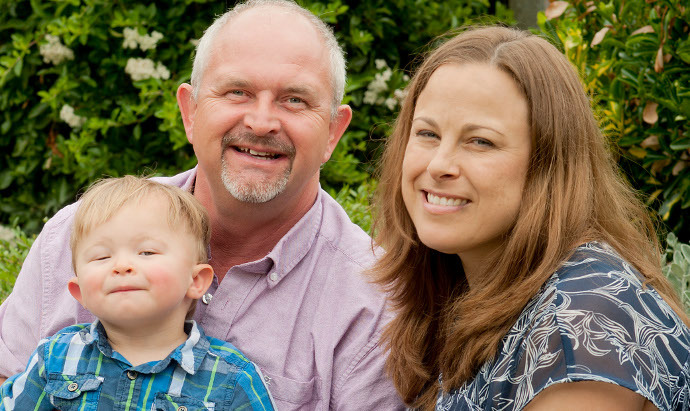 After a diagnosis with non-Hodgkin lymphoma, John chose to freeze his sperm. 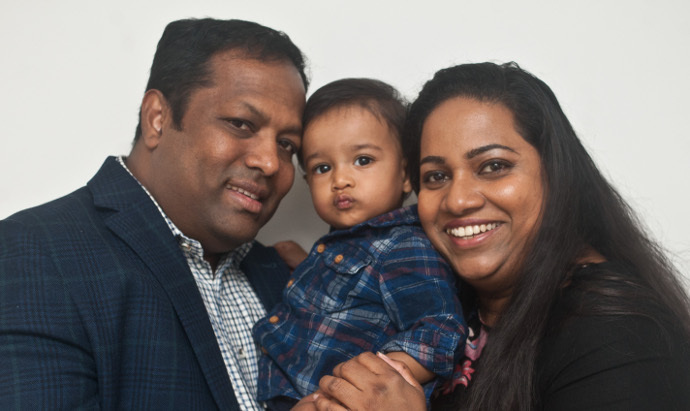 Five years later, he and wife Claire started IVF treatment at Bourn Hall. 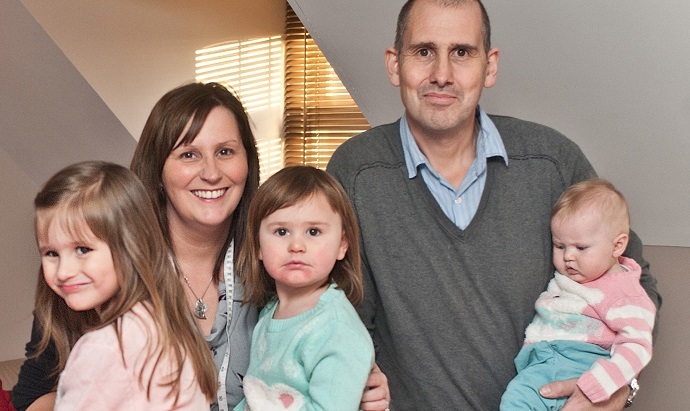 Claire met her husband John through a lonely hearts advert in the ‘Beds on Sunday’ in 1999, before the days of internet dating, and they always assumed that they would have children some day but those dreams were shattered when John was diagnosed with cancer. 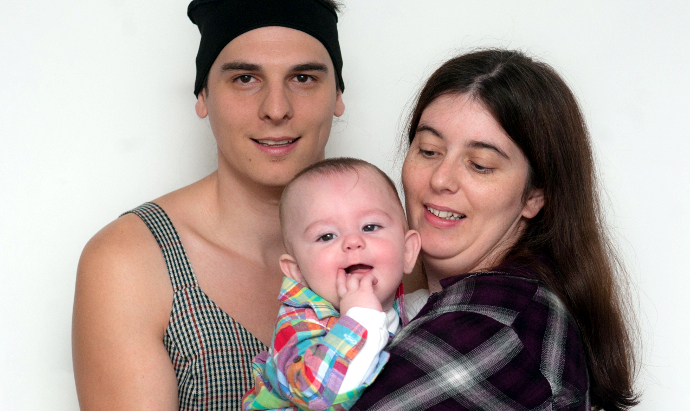 John was diagnosed with non-hodgkins lymphoma and, as treatment with chemotherapy can affect your fertility, he was offered the option of freezing his sperm which he accepted. After two difficult years which included a stem cell transplant he went in to remission. Five years later the couple decided to start a family and after fertility testing it was confirmed that they would need IVF treatment. They were offered NHS funding and after some research, chose the world-famous Bourn Hall. The first cycle of treatment was successful and the couple broke the news to both sets of prospective grandparents at the same time in a local restaurant. Claire gave birth to a little girl, Sydney. It was the first grandchild for Claire’s mum and stepdad and on John’s side it was the first granddaughter. The couple then went on to have two further IVF babies funding the treatment themselves. Robynne was born two years after Sydney, and Kennedy, their third daughter, is now 14 weeks old. Each child was born following their first IVF attempt. “For all three children we didn’t tell anyone we were having treatment as it took the pressure off,” says John. “With each scan you go up the ladder but the further up the ladder you go you know that you have further to fall and you have to keep your hopes up. We have been so lucky. Parenting is the most challenging and rewarding job. Claire is now a self-employed dressmaker, which allows her to balance motherhood and work. “We are so proud of the girls, we have been through so much to get here,” she beams.